This Power-Tip Will Help You Scan For The Best Binary Setups in a Cinch! Around this time few days ago, I gave out a quick “Power-Tip” that will help you quickly scan the market for high-probability binary setups, in a cinch! If you haven’t seen it, here’s the video. Best part? This uses a freely-available web-based tool! When you apply this, please set the “scanner” to a time frame that is 3-4 times bigger than the TF of the chart that you trade on to minimize “noise”. Watch it now and try it out! 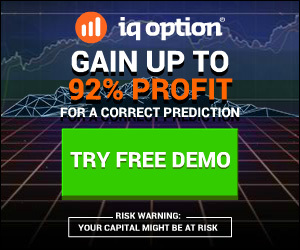 In fact, in my most recent Binary Lab Elite webinar, I gave a more in-depth training on how to use this tool to raise your trading productivity. Unfortunately, the regulated binary broker I was looking at introducing to those of you in UK and Europe backed out on offer to provide service. I’ll keep a lookout for alternatives and keep you posted. P.p.s. Be sure to subscribe to my YouTube Channel and look out for my next video on Pivot Points!